UPDATE: Since this cookbook review was, in part, a confession of the many ways I feel I have failed my children by packing subpar lunches over the years and a proclamation of my determination to do better, I have decided to update this review, sharing my failures and successes and things I learned as I start the school year with a new game plan. Scroll to the bottom of the review to see what's new. . . 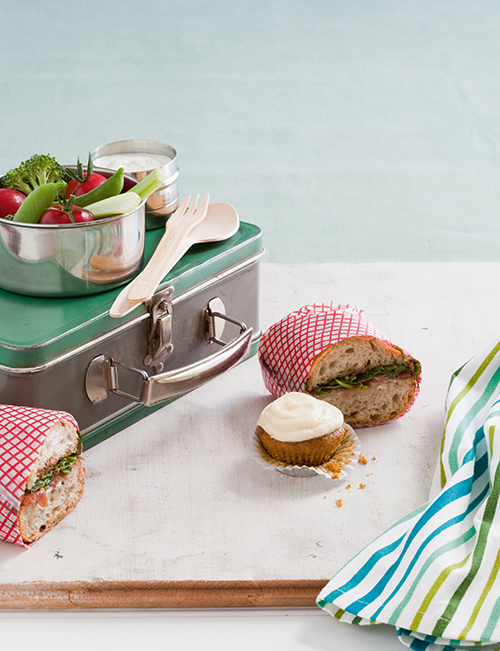 The thing is, I WANT to pack my kids a really great lunch. I always have. And, on occasion, I have done so. When my longtime vegetarian daughter was in high school, I used to make her these amazing sandwiches on lavosh bread with hummus and sprouts and carrots. I'd roll it up and wrap it in plastic and it would be a mushy lump by the time she ate it, six hours later. My youngest happily, so he assures me, ate half an apple with peanut butter on it and a side of pita chips EVERY SINGLE DAY of second grade. And he says he's ready to go that route again for third grade. My middle child is, well, pickier, although I guess you could say that he is more of a connoisseur about what he eats, finding a meat and cheese sandwich that has been in his lunchbox all day lacking in flavor and texture. A few years ago I bought Cooking with Trader Joe's Cookbook : Pack a Lunch thinking that I - or maybe even he - could find some interesting, tasty recipes that were easy to prepare (because some of the ingredients were pre-made) but I struck out again, realizing that it's not just what you make to go in the lunchbox, it's the lunch box itself that affects the end result. I can send my kids to school with cool leftovers or fancy sandwiches, but they only taste (and hold up) as well as what I pack them in. First, we dabbled in inexpensive bento boxes. I even reviewed Yum-Yum Bento Box : Fresh Recipes for Adorable Lunches, but I still couldn't find a sweet spot. I decided it was time to invest in some serious Waste-Free Lunch items from a really great website I found: reuseit.com, which is also where I also found some excellent reusable produce bags, freeing up a lot of space under my sink. Now, I think it's time to take it to the next level and make sure that these lovely, waste-free lunch containers are being packed into insulated bags with effective ice packs - not the bag of blue gel that I stored in a baggie when it started to leak. 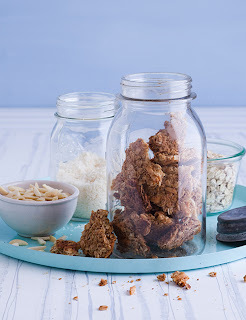 Chapters focusing on the "main dish" include, "Stellar Sandwiches," "Salads Kids Will Love," "Pinwheels, Pizzas, Wraps, and Roll-Ups," and "Leftovers Made Over." She also covers sides, with everything from fruit and veggie ideas, crunchy extras and goodies. Best of all, there is a final chapter for after school "tide me overs." Finally, Morford provides some names and websites for purchasing those all-important lunch-box supplies, all of which can be found at the website I linked to above. A new era in packing lunches begins for me in two weeks when my waste-free lunch box purchases arrive soon and the new school year begins. 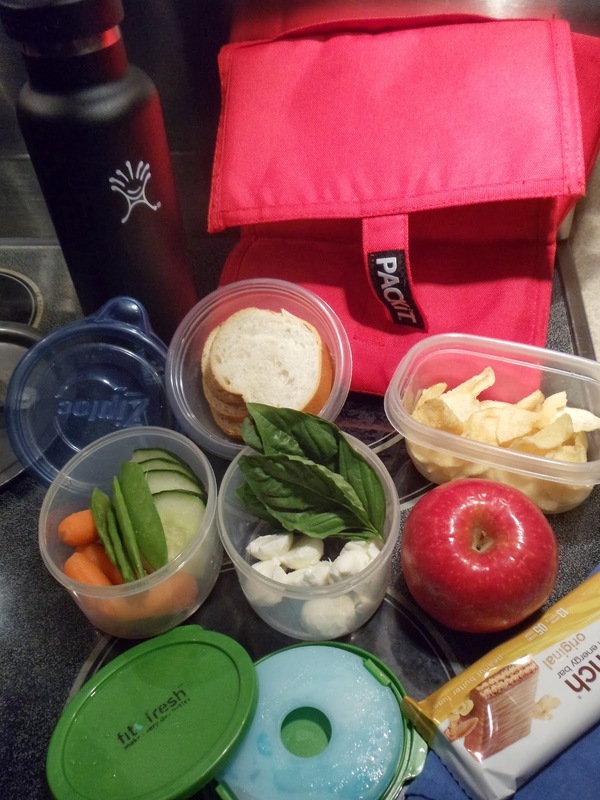 For once, I am looking forward to making my kids' lunches! 8/17/13: LUNCH BOX PARAPHERNALIA I PURCHASED! It took me two days and way more agonizing and thought that I probably should have given this, but I have placed my order with reuseit.com! Over the last couple of years, I have made a concerted effort to reduce the amount of plastic that comes into my house, eliminating al forms of baggies, cutting way back on plastic wrap, using glass storage containers and taking cloth produce bags to the grocery store - when I remember and the bags are actually clean...) which made this process a bit harder than I expected. 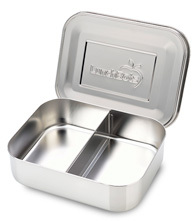 My younger son took his apple with peanut butter and pita chips to school every day last year in a LunchBots stainless steel box. I was a bit disappointed when, early on in the school year, the divider separated from the sides and decided against purchasing more of their products, which are pretty pricey. Also, in the interest of keeping fresh food cool, I decided to go with something new this year. 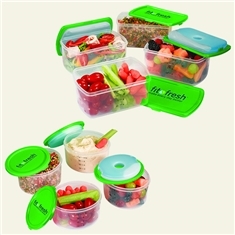 The fit & fresh products all have removable ice packs that snap into the lids of their containers. 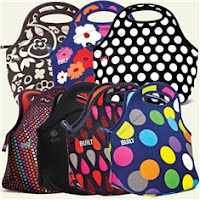 All plastic is BPA free and recyclable. 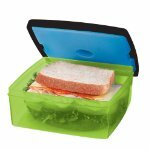 These are the two items I chose: the Sandwich POD and the Smart Portion Value Food Containers which come with two 1 C containers and two 2 C containers. I made all my purchases from reuseit.com, but checked everything out at the individual sites first. fit & fresh has many size, shape and combination options that reuseit.com doesn't, which is great to know. Also, visiting the fit & fresh site I learned that you can purchase replacement ice packs! 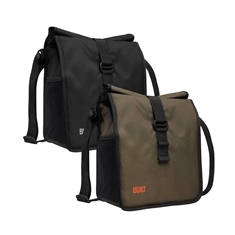 While I really love the style and visual appeal of BUILT products I had to remind myself that I was shopping for my boys, not myself. Maybe someday I'll have a reason (and the cash) to buy one of their cool neoprene bags for myself, but until then, I have to be practical. 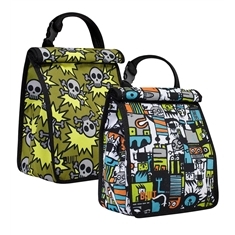 I decided against the BUILT Insulated Lunch Bag for Boys, cool as it looks, for my nine year old because I know what boys do with their lunch bags once they are done eating and headed out to the playground. I'm not going to spend $14.95 on a bag that I know will be used as a soccer ball at best, so we're sticking with the Trader Joe's $3.95 insulated lunch bag from last year. While BUILT makes an insulated lunch bag that they call a "Crosstown Insulated Lunch/Messenger Bag" that I know my sixteen year old son would find acceptable, in the end I decided that I wasn't going to take any chances on the food in his lunch not meeting his standards. So, I invested in a lunch box that would keep his food cool as well as storage containers that do that job. 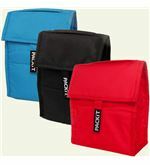 The bags made by Packit actually have gel cold packs in the lining of the bag, which folds up really nicely and can be tucked in the freezer overnight to keep food refrigerator cold. Unfortunately, they seemed to be out of the black bags, which hide dirt and appeal to a teen boy, so we had to go with red. The first 6 - 8 weeks of school have gone pretty well and I feel like I have packed lunches I can feel good about on most days. There have been a few days when the boys forgot to get their freezer blocks and lunch box back in the freezer, but we managed. The red lunch bag is starting to show some smudges and I'll have to figure out how to clean it and the lid to one of the sandwich boxes cracked and I need to look into getting it replaced. Son #1: Deconstructed Caprese, minus the tomatoes (P 42 from Best Lunch Box Ever), veggies, chips, an apple and a protein bar for milk break. 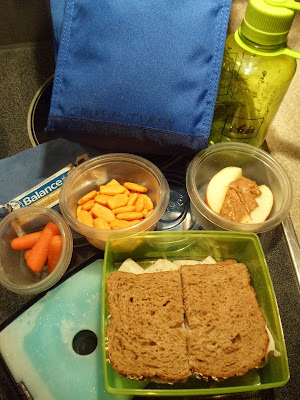 Son #2: Turkey sandwich, crackers, apple & PB, baby carrots and a protein bar for milk break. Wow, thanks for all the great info! I'm getting caught up on months of missed posts and just came across this gem. I use the Lunchbot Uno and Duo for Aaron (have had the Duo for years and haven't have the problem you had - wonder if you got a bum one). Anyway, love this post and all the product info. I had no idea there were Trader Joe's cookbooks and we do 90% of our shopping at Trader Joe's. This is the first year I've had to pack more than a snack for Aaron and unfortunately he wants the same thing every day. Wish I had insisted on more variety early on. He's also allergic to peanuts and wants to sit at the nut free table at lunch which means NO nuts of any kind. Forget the almond butter sandwiches I had planned. I will have to check out some of these cookbooks on packing lunches. 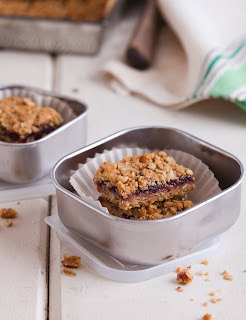 My idea of bento boxes comes from the cutesy (and annoying, IMO) photos on Pinterest. I love my kids, but I do not have time to make animals out of their vegetables. So I was glad to see these books are about quality of the food, not the adorableness of it.